This entry was posted on November 19, 2018 by zippserv blogger. Basically, the Carmeleram road is a bit off the left of sarjapura road, and yes Carmeleram also has a train station. Its added in the amenities of the surrounding builders like it’s a crown jewel, I do not understand how it makes any sense to some one who resides there, the noise will trump the as an irritation of over the occasional probable use of the train station once in a while. 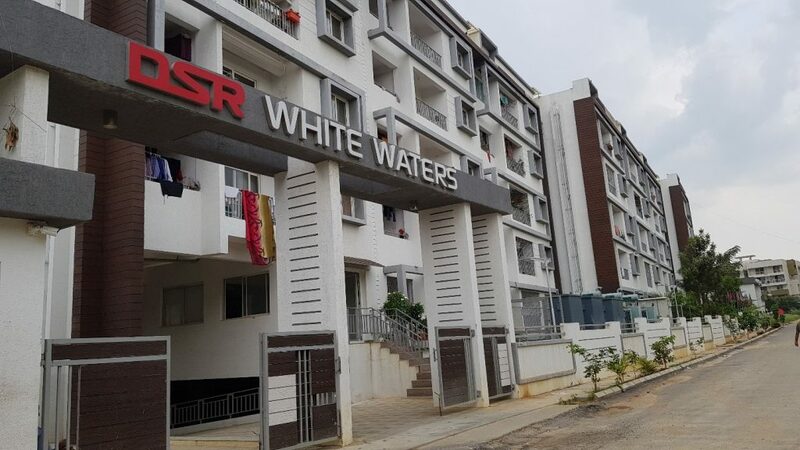 So, the first property a bit off the road a was DSR Whitewater’s Phase 2, they are an economical apartment with 4 floors. This apartment isn’t the fancy apartment that you see from the tier one builders, rather it is a very humble offering from the builders DSR . The property comes in a locality called Gunjur of Carmelram road. The base price of this property is set at 4599 and it should be ready to move in by early 2019.